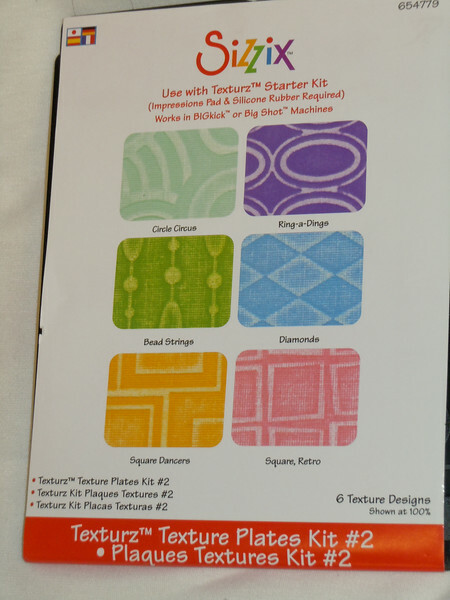 Brand new but out of packaging: Sizzix Texturz Texture Plates Kit #2. To be used with Texturz Starter Kit. There are 6 Texture designs. Package Item number is 654779.